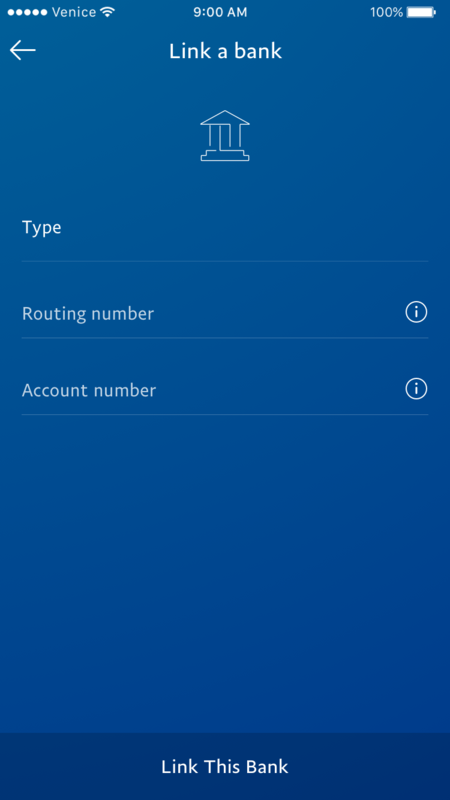 The newly-designed PayPal consumer mobile app, or Venice, was released in late January 2016. 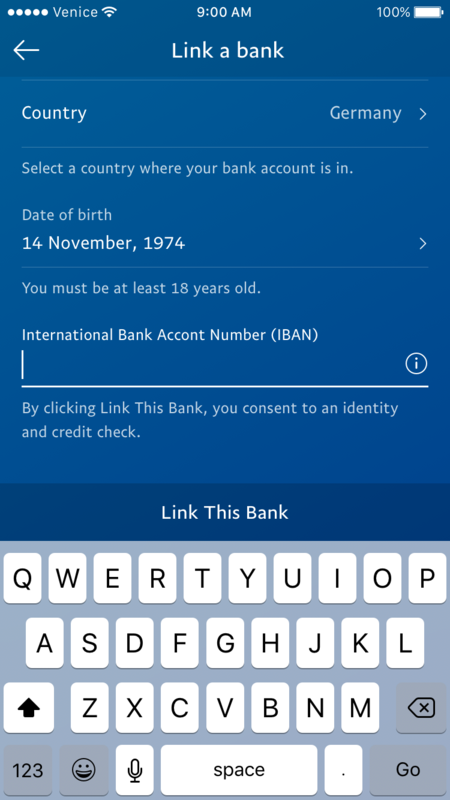 One of the features that the app did not support in its first release was the ability to let people add their bank. This feature was a high priority for us as it would increase customer acquisition as well as unlock more features for them, making the app easier to use. I led the designs and subsequently became the owner of the entire Wallet section of the app. The first flow we tackled was the Manual Add Bank for the US. The pattern of this manual flow needed to be scalable for other countries as well. After rolling out this feature in the US, this same feature would need to be supported in other countries around the world. Although Instant Add Bank is much easier and faster, it's not globally supported. The difference between Instant and Manual is that for instant, a customer can simply log in to their online bank in the PayPal app. In the manual flow, customers add their bank account through the traditional model with a routing and account number or any other combination of data points specific to other countries. Why should you add a bank? 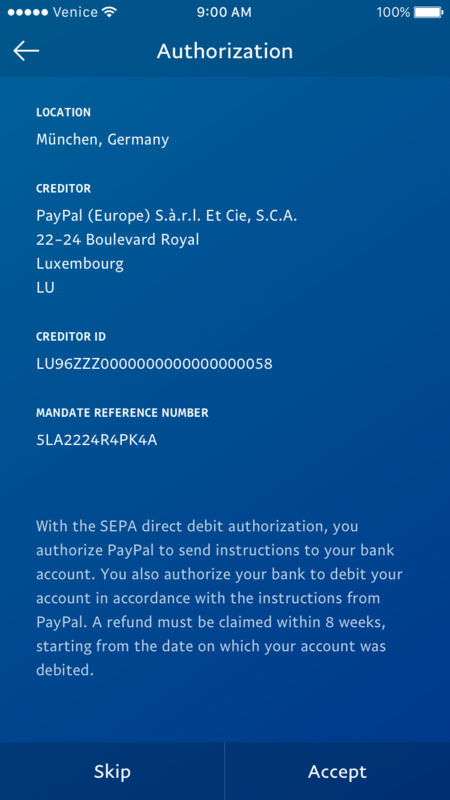 If you want to send money without a fee, add money to your PayPal balance, transfer from your balance or pay your PayPal Credit bill, you need to add a bank. 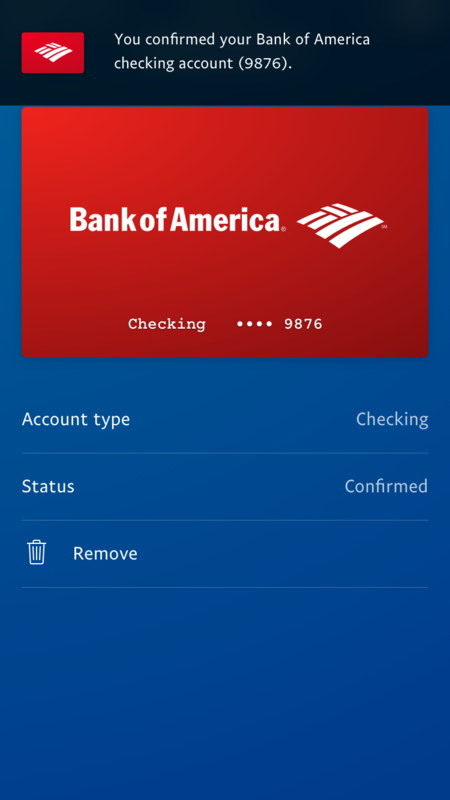 This feature will allow customers to add their bank account in the app. For people who don't have a credit or debit card, having a bank linked to their PayPal account is one of the only ways to shop online. The manual add bank flow is an outdated process. The US requirements to add a bank are Type of account, Routing and Account number. About 97% of PayPal customers add a Checking account vs a Savings account, so we default to a Checking account to make the flow simpler. 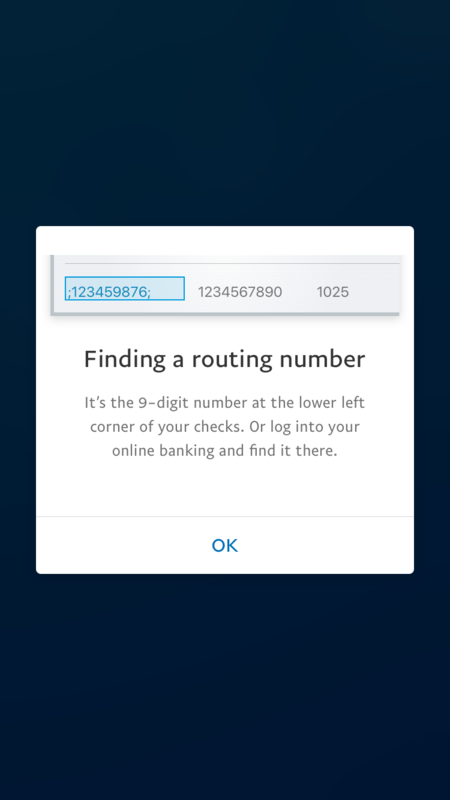 To help people find their routing and account numbers, we provide a check graphic in a popup. However, fewer people have checks to reference and the confirmation process adds days and kills a flow if a bank is added during a payment. Different countries have different requirements—not all are routing and account numbers—so an image of a check and a step-by-step process doesn't scale globally. Additionally, in some countries, we can't immediately verify an account number—a customer may add a bank without knowing until later that it failed. This manual add bank flow is an ongoing project. I am no longer overseeing the Wallet section but we are continuing to expand to more countries where customers can add their bank account. All these different requirements for different countries created a lot of little business problems that needed a big team effort to solve. My project manager and I worked very closely together to create a solution that scales—and along with our engineering team—tried to find ways to build a template based form to minimize custom written code. PayPal has already launched in a number of countries where our solution has proven to work successfully. We have increased customer acquisition, and keep enabling people to manage their money more securely and effectively.